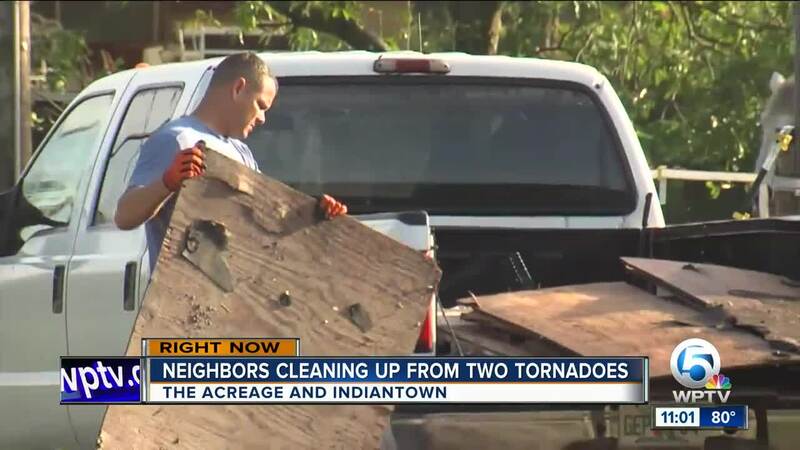 Residents in The Acreage are still hard at work Tuesday, still cleaning up after Monday morning's tornado tore through a nearly two-mile stretch of their community. “We worked yesterday (Monday) until pretty late. This morning I came out at 6 a.m. and started taking out the branches and things like that," resident Lazaro Santos said. He and neighbors cleaned up much of his yard impacted by the EF0 tornado. 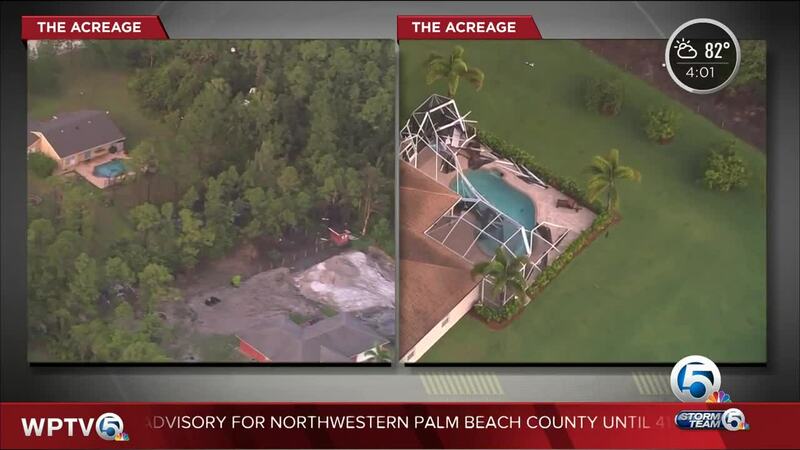 The damage is concentrated between Key Lime Blvd and 74th Street North just off Seminole Pratt Whitney Road. Santos’ livelihood are the animals in his yard, who luckily were only startled and not hurt in the tornado. "Her (the horse) enclosure went down. When I came out and she was sitting right next to my house eating grass, so she was nice and comfortable and relaxed," said Santos. Homeowners are working against the clock when it comes to clean up because more rain is in the forecast this week. It's unclear which neighbors plan on filing claims with their insurance, but some say it’s just not worth it.